Snapdeal promoter ‘Jasper Infotech’ in trouble as Softbank(a major investor)spars with other board members, namely Kalaari Capital & Nexus Venture Partners. A recently proposed Debt deal is off the table. Ola cabs line up funding from RNT Capital, a Ratan Tata Enterprise, while Uber is busy trying to sort out a series of management and regulatory hurdles. 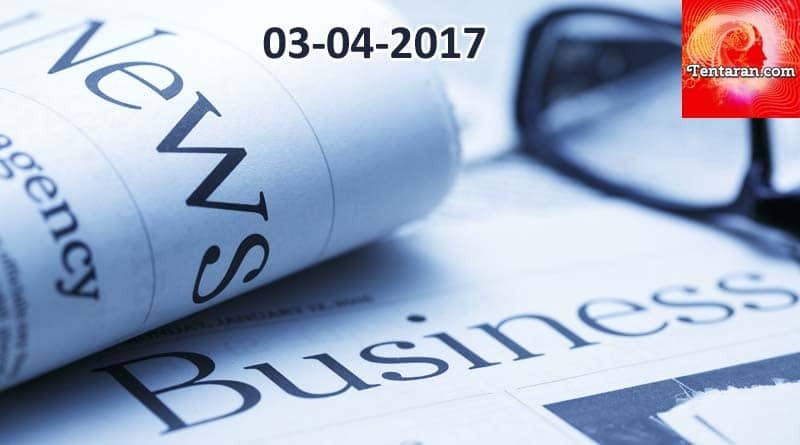 New and Costlier rules most likely for overseas investors from Singapore, Mauritius and Cyprus as treaties comes in force from April 01, 2017. The government is looking to hire technology company to run its online procurement marketplace called GeM. Education company S Chand to raise Rs.650 crore via IPO. Investments in Commercial real estate sector continue to grow. To avail of tax benefits before GST rollout, FMCGs rush to Assam, Firms have invested nearly Rs.3000 crore in the past few months to build new plants. Shell withdraws from Kakinada gas project. MobiKwik eyes smart cities. The company is eyeing gross transactions of around Rs.20,000 crore in the next 5 years. M&A add value to Aditya Birla group investors. UltraTech remains the biggest gainer since the company began its M&As. Most of Infosys’s promoters did not vote for the resolution seeking a pay hike for chief operating officer Pravin Rao. RBI may focus on squeezing excess liquidity in the system. BSE to charge for each equity trade from today. Bhatinda in Punjab to Delhi later this month. Capital International buys 3% stake in Intas Pharmaceuticals for $107 million. Eruditus raises Rs.53 Crore from Bertelsmann India. The company plans to use funds to add new programmes, expand geographical reach. Early stage venture fund, Unicorn India Ventures has made its first investment in fintech space in Bengaluru-based SmartCoin. Testbook, an education technology startup, has raised undisclosed amount from Matrix Parters India. Urban Ladder readies to take on Ikea with offline stores.